Doug McIntyre’s weekly MLS column, 24 Thoughts, parses through the latest insights and inside info from around American soccer. LOS ANGELES – This installment of 24 Thoughts comes to you from sunny Southern California, where two of the league’s most important teams, the five-time champion LA Galaxy and Supporters Shield race-leading LAFC, have a combined for 9-1-1 record out of the gates in 2019. LAFC’s blistering start has been historic. 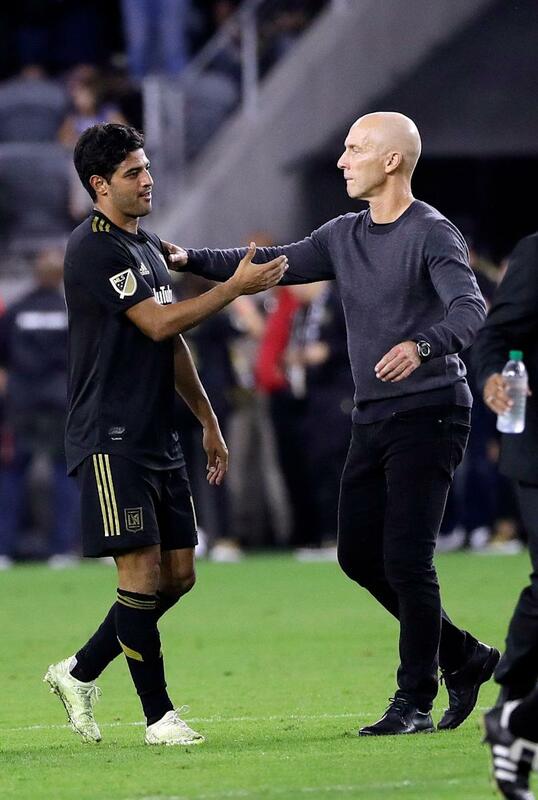 With 19 goals through its first six games – including last week’s 4-0 drubbing of then-East leading D.C. United, Bob Bradley’s team is the most prolific of any MLS team through its first six matches per the Elias Sports Bureau. Across town, the Galaxy have won four of five under new boss Guillermo Barros Schelotto, putting a squad that missed the playoffs the last two seasons back among the league’s elite. 1. Before getting too deep into this week’s column, we need to mention Sporting Kansas City’s embarrassing 10-2 (!) aggregate loss to Liga MX power Monterrey in the semifinals of the CONCACAF Champions League. I don’t want to be too reactionary here, but if that scoreline doesn’t result have alarm bells ringing at MLS headquarters in Manhattan, I’m not sure what will. 2. I was in LA to cover the U.S. women’s World Cup team’s tune-up against Belgium and the CONCACAF Gold Cup schedule unveiling, both of which took place at LAFC’s sparkling Banc of California Stadium. I also made sure to pay a visit to the city’s two MLS clubs. Let’s start with the Galaxy and – who else? – Zlatan Ibrahimovic. 4. In a rare start on artificial turf, Ibra had a goal and an assist in Vancouver last week. Seeing him on the field at all was a surprise after the big Swede missed two games with a sore Achilles tendon last month. But Ibrahimovic swears that he feels better physically than when he was coming off reconstructive knee surgery a year ago. 6. It’s no secret that foreign coaches have often struggled to adapt to MLS’s unique peculiarities. Guys like Tata Martino and Patrick Vieira have begun to change that narrative in recent years, in part because they did their homework before signing on. Schelotto has the benefit of having actually played in the league: in 2008 he led the Columbus Crew to its only MLS Cup, taking home league and postseason MVP honors along the way. “I know the league, I know the teams, the rules, everything,” Schelotto said. 7. From the moment he went back to Argentina in 2010, Schelotto knew he wanted to return to the U.S. “Always I was thinking in the future I’d come back as a coach. Always,” he said. “Since I left Columbus to today it’s a very different league for players, for coaches. Everything is getting better. I wanted to be part of it now.” Really, it was just a matter of where he’d end up. In addition to the vacancy in LA, there were openings in Columbus and Atlanta. 8. Many expected Schelotto to end up in Atlanta when Martino, his compatriot, announced that he was leaving. What few know is that Five Stripes technical director Carlos Bocanegra kicked the tires on Schelotto before United’s inaugural 2017 season. “I met with Bocanegra before but Tata got the deal with Atlanta,” Schelotto said. Atlanta called again last year. But with Schelotto involved in the Copa Libertadores and United in the playoffs, the sides didn’t meet again. 10. There’s no question that LAFC’s arrival has forced the Galaxy to step up its game. Part of that is reminding fans about the history Schelotto cites. The team’s 2019 jerseys feature five stars, one for each league title. Billboards emblazoned with the tagline “Since ‘96” have popped up all over town. It’s easy to understand why the Galaxy would be worried about losing market share. After seeing LAFC’s stadium and training facility for the first time, it’s clear that no detail has been left to chance. Bob Bradley’s fingerprints are all over this club, which is a first class operation in every way. 12. For all of LAFC’s offensive production, they’ve also been defensively sound. Only two teams, Columbus and the Seattle Sounders, have conceded fewer goals. Part of that has been down to the outstanding play of 25-year-old center back Walker Zimmerman, who has positioned himself for a Gold Cup invite from U.S. manager Gregg Berhalter. 14. A broken ankle forced Canadian midfielder Mark-Anthony Kaye to miss the final four months of his rookie season last year, but he’s started five of LAFC’s six games and has assists in its last two. Canada coach John Herdman expects Kaye to play a huge role for his country this summer, not least in a difficult Group A tilt versus Mexico. “We wanted to know how he’d come back from that [injury] and he’s been exceptional, one of LAFC’s most consistent performers this season,” Herdman said. “He brings a confidence. We’ll be an underdog in certain games and you need those types of players, players that are single minded and are going to push right through. 15. The day before the U.S. women played Belgium, LAFC co-owner and USWNT great Mia Hamm told reporters that LAFC has explored starting a NWSL side. A USL team could also be in the works eventually, possibly in the talent-rich “Inland Empire” east of LA. It probably won’t happen until the club’s current crop of academy players, currently 15 years old and younger, comes of age.The club ended its USL affiliation with Orange County FC after one season in December. 16. Speaking of MLS talent mills, let’s circle back to the Galaxy. MLSSoccer.com’s Sam Stejskal reported Wednesday that the club had parted ways with under-19 coach Brian Kleiban. The move has been inevitable since two prized Galaxy products, U.S. U-20 national team standouts Ulysses Llanez and Alex Mendez, spurned contract offers from the senior team to sign developmental deals with German clubs. The players are represented by Kleiban’s brother. 19. 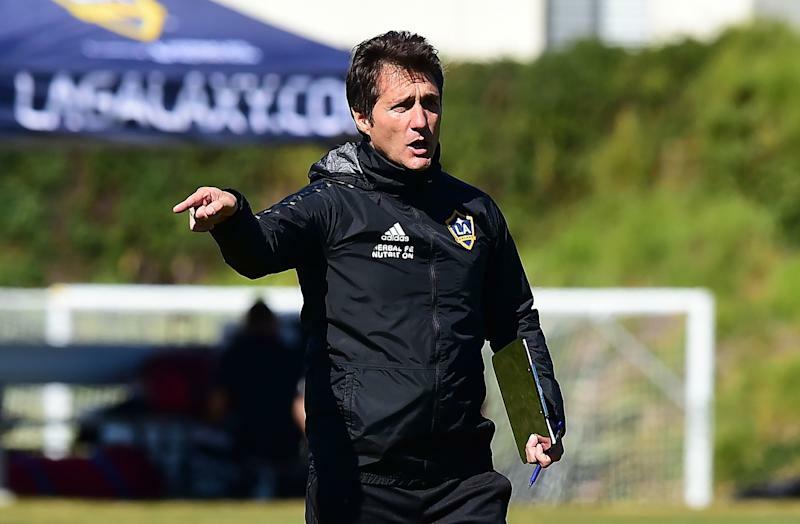 I don’t have a name, but I’m told that Galaxy general manager Dennis te Klose, who was hired away from the Mexican national team program in December, will be bringing in a new academy director from south of the border. 20. Caught up with Galaxy/MLS/USMNT legend Landon Donovan at Wednesday’s Gold Cup event. Naturally, I was curious to hear his take on the USMNT four games into Berhalter’s tenure. “You’re starting to see the framework laid out,” Donovan said.“It doesn’t always come off perfectly but you can see the ideas that he’s trying to implement and over time. 22. A lifelong hockey fan whose father played the sport semi-professionally in his native Canada, Donovan only skated a few times growing up. Suddenly he finds himself changing shifts on the fly and marshaling the Sockers’ power-play. The similarities aren’t lost on Donovan. “It’s eerily similar to hockey in lot of ways,” he said of the indoor game. 23. I absolutely loved this story by Pablo Maurer on the friendship that’s developed between Wayne Rooney and D.C. United staffer Rory Molleda. Pablo’s doing some of the best work in the business right now. 24. Welcome back to the beat, Brian Straus. You’ve been missed.